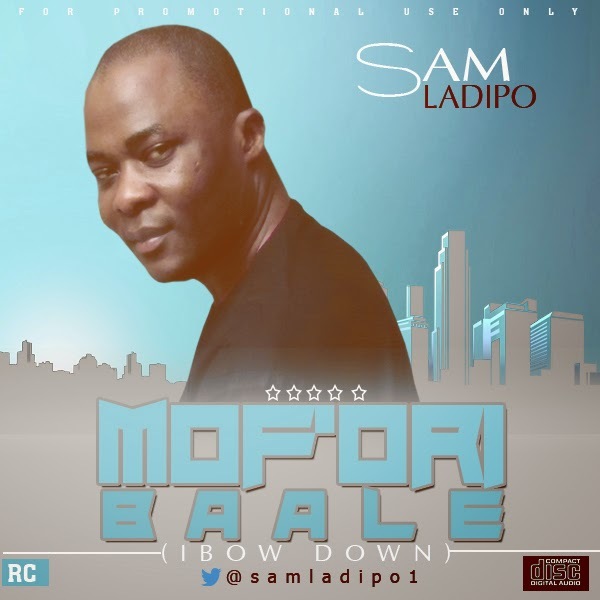 With his usual style of ear-catching lyrics and eclectic blend of instruments, Gospel artiste Sam-Ladipo has released his latest single ‘Mof'ori baale’. "Mof'ori baale" talks about bowing down and worshipping God with everything you have got, it goes on to extol God in all His awesome greatness, beauty and magnificence. Sam Ladipo has released another song that will make you appreciate God without any reservation as the song has an upbeat tempo which reflects a wonderful rhythm that is sure to get you tapping your fingers and even singing along as the song grows on you. The fact that Sam Ladipo has served in different churches as a songwriter, producer and choir director is evident in the way he pays attention to details in “Mof'ori baale’ from the vocals, back-up and of course the deep meditation that comes through in the song and makes you want to just worship God and never stop! Mof'ori baale is a single from his forthcoming fifth album as thus far, he has four albums to his credit, Wonderful God, Made Ready, Thank You and I am Not Alone which has become fan favorites both locally and internationally.